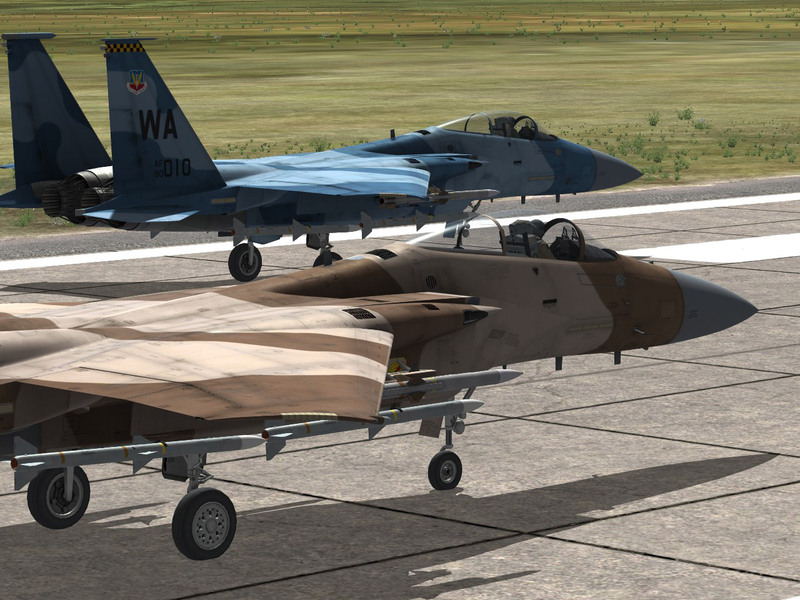 Flaming Cliffs 3 is a mixture of (low-fidelity) fighter aircraft and though they do not feature any clickable cockpit, the aircraft featured in this combination package are some of the most capable aircraft within DCS World. Due to their more basic yet extreme capable simulation they make an excellent first purchase for any aspiring (DCS) pilot, and will indeed often be the first step that any of us have taken in the fighter / combat pilot community. - A-10A Warthog [American Attacker] (please note this is a different, earlier variant than the A-10C 'Charlie' full fidelity module): Air-to-Ground munitions (Air-to-Air for self-defence only), with dumb bombs, cluster munitions, the AGM-65 Maverick Air-to-Ground missile and of course the mighty 30mm Gau-8 Gatling Gun.